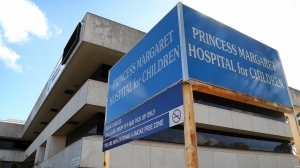 Staff at Perth's ageing Princess Margaret Hospital are said to be under strain as maintenance work slows and supplies run low in anticipation of the move to the long-delayed new children's hospital. Lead contamination in drinking water at the new, $1.2 billion facility remains unresolved, and health minister John Day says he's extremely frustrated it is causing further delays to the already overdue project, where asbestos sheeting was found in roof panels earlier this year. Meanwhile, parents of patients and staff at PMH have told ABC radio that morale is low - along with supplies - while there are 10 code yellow internal emergencies each day because of elevator failures. Australian Medical Association WA president Andrew Miller said staff were soldiering on in difficult circumstances, but some would leave if morale remained at rock bottom. "They're getting very tired," Mr Miller told the broadcaster. "This has really turned into quite a foreseeable marathon. "Bringing in a new hospital like this, everybody knew it wasn't going to be as easy as we were told. The management really are just trying to achieve way too much all at the same time. "They should have just moved PMH down the road without restructuring everybody's job and paying no attention whatsoever to the feedback from clinical staff." PMH executive director Michelle Dillon said all old hospitals had problems with elevators but they were being maintained, along with other equipment. "We are continuing to replace things - we are still a busy and active hospital, and there has been no cutback," Ms Dillon said. She admitted staff morale had been dented by the delayed move and there had been some restrictions on them taking leave, but said patient care was not being compromised as they were committed professionals. Mr Day said he wasn't going to speculate on when the new hospital's building company John Holland would be ready to hand over the facility, but he hoped that might occur in a fortnight. He also would not commit to the opening date, but it is not expected until next year, which will be more than a year overdue.